As you’re likely aware, I’m always on the prowl for new and better credit card offers. My old standby used to be the Amex Blue Cash reward card, which eventually gave way to the Platinum Delta SkyMiles Credit Card from American Express*. 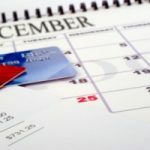 The most recent card to catch my eye has been the Blue Cash Preferred® Card from American Express (more details here), which is like a super-charged cash back card. Yes, it has a $75 annual fee, but it also has a generous rewards structure. First, the card pays a $200 bonus when new cardmembers spend $1,000 on the card in the first three months. More specifically, you’ll get 6% cash back at US supermarkets up to $6, 000 per year in purchases, 3% cash back on gasoline at US gas stations and select US department stores, and 1% cash back on other purchases. Cash back is received in the form of Reward Dollars that can be redeemed as a statement credit. Terms and Restrictions Apply. We have four growing boys, and we spend a ton on groceries, so that 6% looks particularly good — even with the annual fee. And the 3% on gas station and select major department store purchases isn’t too shabby, especially since you don’t have to sign up for these things on a quarterly basis. If you have this card, I’d love to hear about your experiences. I’m not sure that I’m ready to give up my Platinum Delta SkyMiles Credit Card from American Express given the various perks and upgrades that I’ve gained access to, but the Blue Cash Preferred Card from American Express is making think about it. 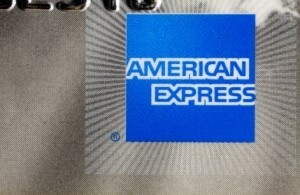 *Yes, I still carry my Chase Freedom card but I reach for the American Express first at any merchant that accepts it. I’d be all about the Amex and the 6% rewards at grocery stores if it were not capped at $6,000. Each eligible purchase made in the U.S. shall qualify for 6%, 3%, or 1% cash back of the purchase amount as follows: 6% for the first $6,000 of purchases at stand-alone supermarkets in a calendar year (supermarkets do not include superstores and warehouse clubs). Well, I just get the card and regret doesn’t check the fine print earlier. If that is true Jonathon (and I have no reason to doubt you) are there any good 5% supermarket credit cards available? Amex is going to cap the 6% reward. As of January, 6% will only apply to the first 6K of grocery purchases – after that the reward rate drops to 1%. Paul: True, but if you buy at a grocery store it shows up as a grocery purchase, and hence the purchase gets favorable treatment. Try it yourself if you don’t believe me. Stores don’t report what you buy to the card processor. 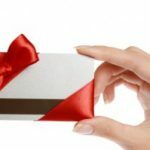 For those who are buying gift cards at grocery stores, consider this fine print: “Eligible purchases do NOT include fees or interest charges, balance transfers, cash advances, purchases of American Express Travelers Cheques, purchases or reloading of American Express prepaid cards or purchases of other cash equivalents.” Does anybody know if this includes GC’s? One thing to note about the Blue Cash Preferred is that the Rewards department is very picky about what they consider Department stores – they have a very small list of qualifying merchants. Even if your purchase is classified as “Department Store” in the American Express Online billing statement, this does NOT mean that a 3% reward rate will be provided. A case in point – I purchased physical merchandise from Amazon, and the purchase shows up in the online statement as “Department Store” purchase, but only the 1% reward rate is given. A call to Amex customer service confirmed they do not (and claim they never have) provided 3% reward rate for anything purchased from Amazon, regardless of the classification by their online billing statement. I agree with John Eisenschmidt’s comment below. We’ve also been an original Blue Cash member since ’05, and it’s a better deal even with the initial lower cash back percentages on the first $6500. After $6500, it pays 5% on gas, groceries, and drugstores, and 1% on everything else (it just dropped from 1.25% with my April 2012 statement). We put everything on it and pay it off at the end of the month. Last year was highest cash back amount of $1000 (no annual fee), on about $60,000 in total purchases over 12 months. I don’t believe the terms of this card are still available. The no-fee version is now called Blue Cash Everyday, with 3% back on groceries, 2% on gas and department stores, and 1% everywhere else (no $6500 threshold). Yes..6% for sure…best card around. Just want to check first. EVERYTHING on this card and pay the balance off at the end of the month. Love the buying Gift Card idea. Im going to do that for sure. We use it when we go to the grocery store (6 bucks back every 100 dollars) we don’t use it when we go to walmart. Kohls counts as a department store. Interest rate stinks but we pay it off every month. I’ve done the math twice since the BC Preferred Card was introduced, but I receive greater rewards for my spending pattern on the old rewards program, even if I factor in the 6,500 initial spending and if I don’t factor the annual fee in. Every time AMEX’s website tells me I’m pre-approved to “upgrade” to the BC Preferred, I give it the finger. 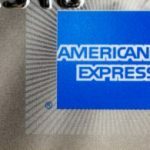 I’ve been unhappy with the American Express Blue Cash Preferred and I’ll probably cancel it next month. Several months back, I applied for the Amex Blue Cash Preferred after seeing a $100 bonus sign-up offer for spending $500 within 90 days. I was “approved” but Amex, without telling me, converted my older American Express account to the Blue Cash Preferred. (I had an old Blue card but not the Blue Cash version that pays 3% at grocery stores with no annual fee.) To my surprise, I did not receive the bonus for this reason. When I called to state that I felt baited-and-switched, that I was expecting a new card/account, that I did not realize my old account was being converted, and that I did not have the Blue Cash (that pays 3% at grocery stores with no annual fee) and thus did not expect to be converted, the were unwilling to give me the bonus or waive the annual fee for the misunderstanding. To make matters worse, they used the conversion as an opportunity to assess me a prorated annual fee of $50. And I’m expecting to be charged the full annual fee of $75 in May 2012 (if I don’t cancel sooner). Sure, I’ve received decent bonuses using the card for groceries, but the points never show up as quickly as I want and aren’t quite as versatile as some other rewards programs. I purchase MasterCard gift cards at my Kroger ($500 plus $5.95 fee and then 6% cash back). I also get 1 point from Kroger towards fuel for each dollar on this MasterCard gift card (2 points for all other gift cards). 1,000 points is $1.00 off a gallon of gas. I basically get a $500 MasterCard gift card for $475 and then use it to shop at Wal-Mart and other places. Frugallery: I’ve found that some cards treat some Super Walmart locations as grocery stores, but not others. It seems to vary not only across card issuers, but also across store locations — apparently different locations of the same store can be coded differently in the card issuer’s system. I wonder if your experience is true of all Walmart and Target locations, or if it’s specific to those that you frequent? It would be great to find a location where you could get 6% off on all purchases. The only thing I don’t like about this card is that the 6% doesn’t apply to big box stores. I grocery shop at Wal-mart and Target and those don’t count. Depending on your shopping habits, this might be a good deal for you. I recently switched over to using the Blue Cash Preferred from the original Blue Cash – most people don’t realize that to properly calculate their cash back on the old card, you need to account for all the purchases up to $6500 that you earned a measly .5 or 1%, when you could have been earning 6 or 3% the whole time… Good luck! I have the Blue Cash Preferred and use it fairly often. I buy Amazon gift cards at my grocery store, as well as gas cards. I plan on trying to use gift cards for as much of my spending as possible. In addition, I get 1% back from my grocery store, and double that for gift cards. This essentially gets me 8% cash back for anything that I can buy with a gift card purchased at my grocery store. An excellent deal so long as I don’t go crazy and purchase more than I need. I have the original Blue Cash card. But it took me almost 9 months to reach the $6500 amount, only above which I would then earn the higher percent. I was better off using the rotating 5% categories on other cards I had. I just got sold on this preferred card 3 months ago. I have been using the regular Blue Cash for the last 4 yrs and have reaped substantial cash back, but since rolling over to the preferred I have noticed my cash back climbing exponentially every month even after deducting the annual fee. I used to use the original Blue Cash before the split. As I understood it, the 5% on groceries, etc. only applied to dollars spent _above_ $6,500 on the year. Purchases between $0 and $6,499 only earned 0.5% and 1%. I’m not even sure this card is still available. The regular Blue Cash card pays 5% on groceries, drug stores, and gas once you pass $6,500 which should be pretty easy. So for me the question is if that additional 1% return is worth it for an annual fee. If my math is right I would need to spend an additional $1,250 on groceries to cover the annual fee, and I don’t think I could do that, not without buying a whole bunch of gift cards at the supermarket. I’ve been using the card since it came out. What’s especially good is that Amazon is considered a department store. I’ve made only slightly more with the preferred than I would have with the everyday, but I’m only one person. We have the Blue Cash Preferred, and it’s great. The only downside is that the 6% for groceries is only at grocery stores, not big-box stores like Walmart or Target. Still, that’s fully disclosed in the fine print. As an added bonus, the customer service is top-notch. We’ve been thrilled with the Blue Cash Preferred since receiving it last July. Our overall cash back percentage on this card is currently 3.89% after subtracting the $112.50 in fees we’ve paid from the cash back total (we had the old Blue Cash card with a January anniversary and had to pay half the annual fee when we first got the card and recently paid the fee for 2012). In addition to groceries, we also purchase a number of gift cards at the grocery store to extend 6% back to amazon.com, Shell gas stations, etc. We’re using the Amex Blue Cash Preferred Rewards in conjunction with the Chase Freedom Card (rotating categories). For anything that doesn’t get a bonus over 1% between those two cards, we’re using the Delta Amex. We are also hub captive and the miles are worth more than 1% on the fare equivalents that we’ve paid lately.